Fancy a change? 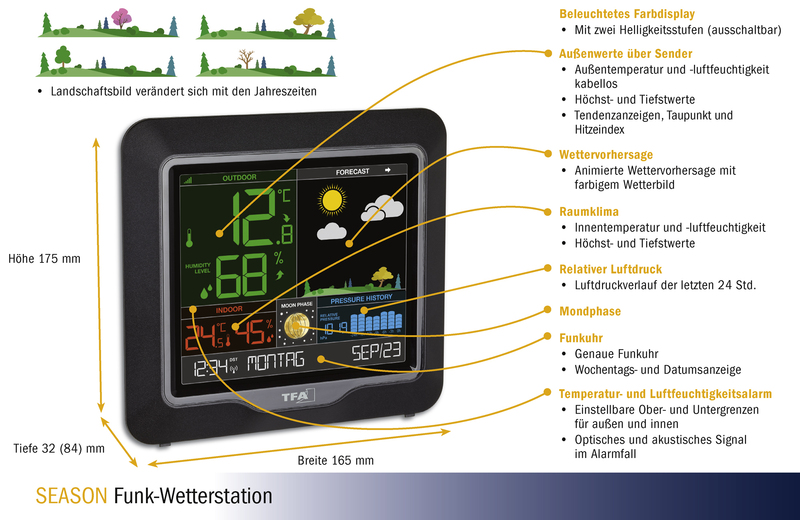 The weather station SEASON creates variety, as the weather image changes not only with the weather forecast. 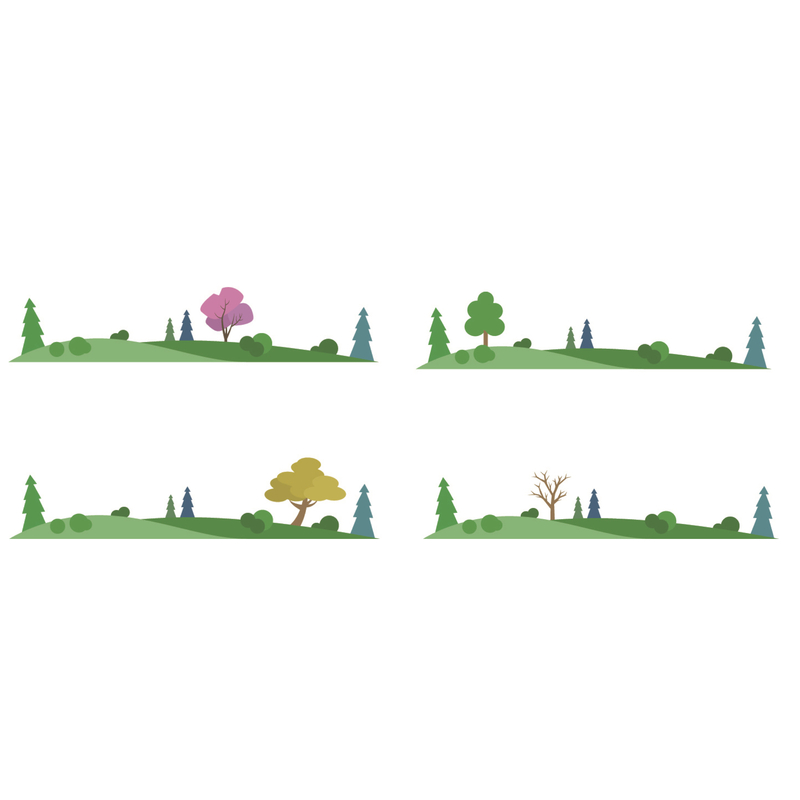 Depending on the season, the landscape portrays the spring in full bloom, summery greens, golden autumn leaves or barren winter. 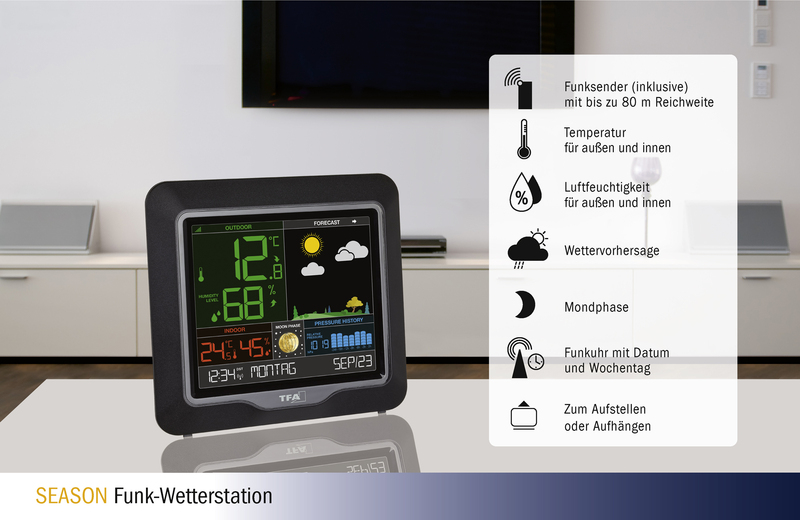 The weather symbols expand the display and provide a forecast of the upcoming weather based on the barometric pressure changes measured. 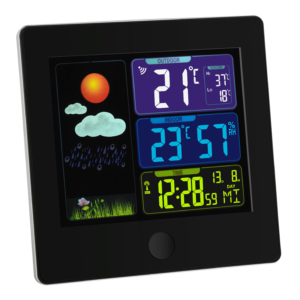 So you can see at a glance whether you should reach for your sun hat or umbrella. 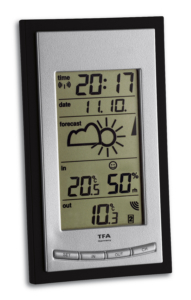 The current relative air pressure is displayed; you can observe the last 24 hours on a bar chart and get a better picture of the weather. 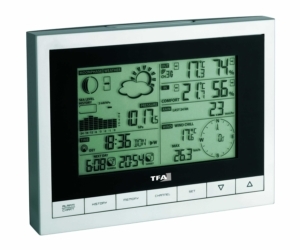 A separate wireless transmitter determines the outdoor temperature and humidity at your location. 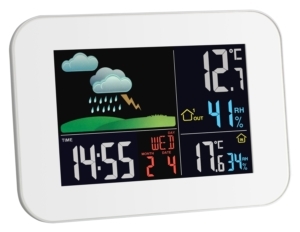 The temperature and humidity are displayed, so you can monitor the indoor climate. 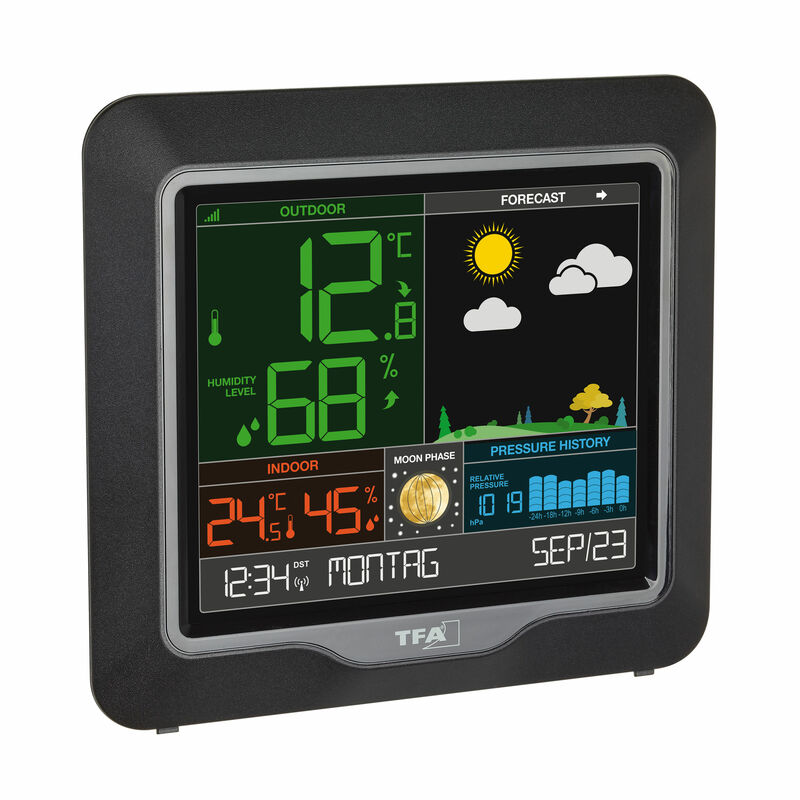 With targeted heating and ventilation, you can create a pleasant and healthy living environment and save on heating costs. 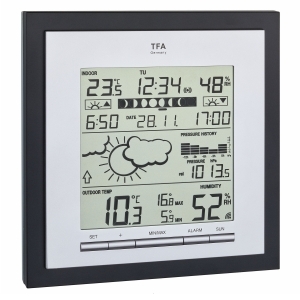 The weather station has many other additional features. 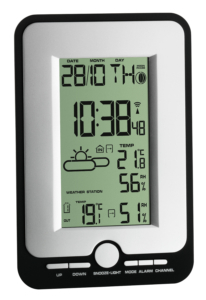 You can set alarm limits for temperature and humidity, set the maximum and minimum values for the day, and you can also calculate the dew point and heat index. The depicted moon is, depending on the phase, fully or partially illuminated. 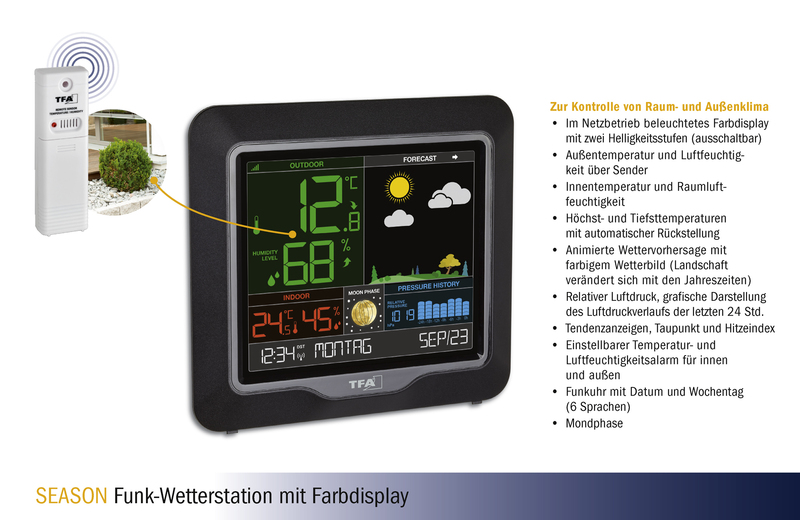 A radio-controlled clock with weekday and the date complete the information content shown.